Diddy and Snoop Dogg are on a European tour but just cancelled their London dates because Snoop's behavior back in April 2006 kept him out of the country. (He and his entourage fought with police after being denied entrance to an airport lounge.) The Brits refused to grant a visa to him, so the shows are off now. 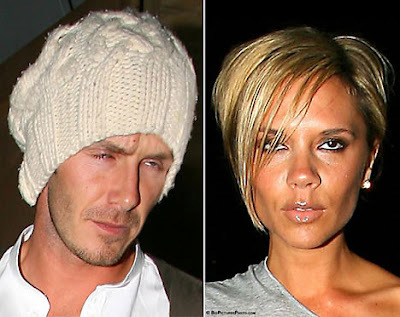 That didn't stop Diddy from partying it up in London and Posh & Becks were his companions for said party at the Automat. You know they never had that much fun with TomKat. Actually they probably don't have any fun with TomKat.